A new release is ready for download and installation/upgrade. The big new feature is that embedded art can now be removed as well as added. As ever, you specify this as a rule. 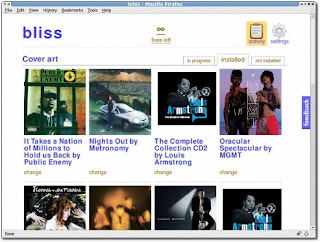 If you add art to your collection with art embedded inside it, and you have told bliss you don't want art embedded, it will strip it out for you. This is useful for working with players that don't support embedded art. Some people also don't like the duplication of the same image in every music file. This gives more prominence to your art. Looks a lot better, hope you agree! 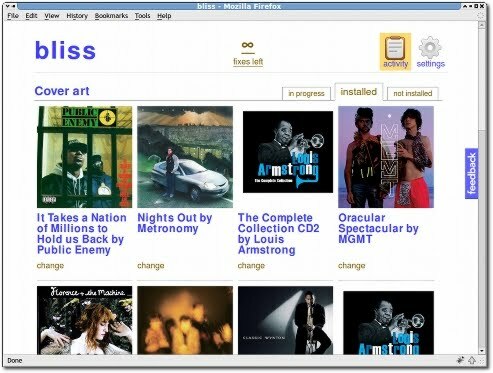 Finally we made some improvements so bliss retries its album art sources if the source reports a temporary problem. This makes the installation yet more 'automatic'. The new release is available from from the downloads page on the blisshq.com website. Give it a try and give us some feedback.